Pick out the trip that is perfect for your plans. 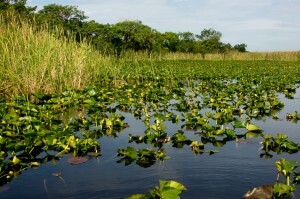 It is always best to book your Everglades airboat rides with us in advance. We will need your email to send a confirmation and directions so please fill out the contact form with all information requested on our contact page. Also please see our frequently asked questions section to answer any questions you may have about our airboat rides at the time of booking. The one hour Fort Lauderdale Airboat Rides experience is a high-speed journey through the Everglades, one of the largest wetlands on the planet. You and your party will hang on tightly to your seat as glide alongside the plains of sawgrass and underneath the mangrove forests. Trust us when we say you won’t want to miss this opportunity! 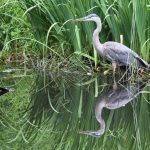 This package includes an in-depth look at the ecosystem of the Florida Everglades, narrated by your captain with multiple viewing stops to see wildlife and historic sites. 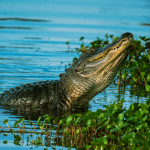 This Fort Lauderdale Airboat Ride tour is designed for those looking for an eco-tour that gets up close and personal to gorgeously stunning Everglades. Children under 6 ride free. We are proud to announce our new locations in Miami and West Palm beach We now offer airboat rides in Miami and Airboat rides in West Palm beach Fl. All of our Airboat Rides in Fort Lauderdale Florida portion of the Everglades are private, so who ever you book with are the only ones on the boat – no strangers; just you and your family or friends on our smaller airboats. We can also provide larger fan boats for big parties or corporate events. For site work, still photography, film work, or government work please contact us for a quote. Come explore the largest subtropical wilderness in the southern portion of the United States near Fort Lauderdale. Classified as one of the widest rivers in the world, a river system 60 miles wide by a 100 miles long which flows from the Kissimmee river south to Florida Bay at the tip of the south end of Florida. 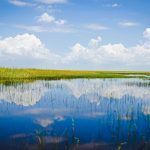 One of the terms or nick names for the Florida Everglades was popularized by Writer Marjory Stoneman Douglas she called it the River Of Grass because of the water flow and all of the sawgrass that is found in the Florida Everglades. 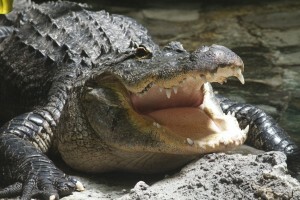 On your airboat ride we often encounter wildlife such as the American Alligator who makes his home in the Florida Everglades as well as several species of snakes and birds such as the great blue heron, the egret, the white Ibis and the roseate spoonbill. You may encounter are native turtles that live in the shallows as well.